The race to build the world’s first production electric supercar is officially over, and it’s lurking beneath a familiar silhouette. Mercedes AMG have claimed the electric supercar crown by manufacturing a production 740hp battery powered SLS AMG. The Mercedes SLS AMG GT3 – Premium Racing Car or Robot in Disguise? As well as being the featured cover car of the hit Playstation 3 racing game “Gran Turismo 5”, Mercedes developed, manufactured and marketed these premium racing cars specifically for their customer base. 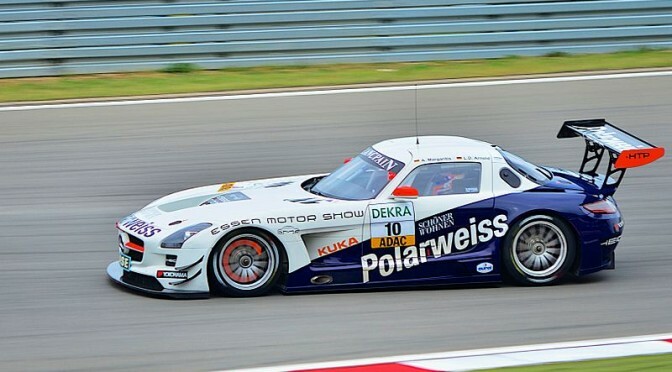 The 41st ADAC Zurich 24 hour race was held at Nürburgring this weekend. The event is known to be one of the most eventful long-distance races in motorsport history, and this year was no different.